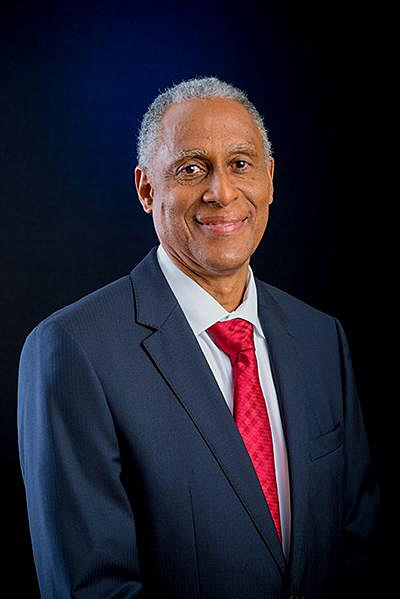 PORT OF SPAIN, Trinidad — In an acknowledgement of his sterling contribution to Caribbean jurisprudence, The University of the West Indies (UWI) will confer an Honorary Degree of Doctor of Laws on the Honourable Justice Adrian Saunders, President of the Caribbean Court of Justice (CCJ). The conferral ceremony will take place on the Cave Hill Campus on Saturday, Oct. 20 at 5:00 p.m. The CCJ President will also be a guest speaker at The UWI’s graduation dinner, held Oct. 19. Justice Saunders will speak on behalf of fellow graduate Professor Ebenezer Oduro Owusu, Vice Chancellor of the University of Ghana and Professor of Entomology at the Department of Animal Biology and Conservation Science. “I am most appreciative of this honour that UWI will bestow upon me, I am incredibly humbled and honoured by this recognition,” Justice Saunders stated. “I will accept it gratefully on behalf of my parents and siblings, my family, my colleagues at the CCJ, and all the people I have worked with who have all contributed to my success. Justice Saunders thanked UWI for nurturing generations of Caribbean leaders, noting that in the University’s 70 years, it has made an indelible mark on the development of the region. Justice Saunders, a native of St. Vincent and the Grenadines, holds a Bachelor of Laws degree from the University of the West Indies (Cave Hill) in 1975 and a Legal Education Certificate from the Hugh Wooding Law School in Trinidad & Tobago in 1977. He began his legal career as a barrister and solicitor in private practice in his home country. He is married to Marilyn and the couple has two sons, Yuri and Yanek.